The writers of the hit NBC show 30 Rock really know how to poke fun at themselves. On last night’s episode, a fake Comcast cable screen was shown. The names of the movies and shows are that of the pornographic variety. 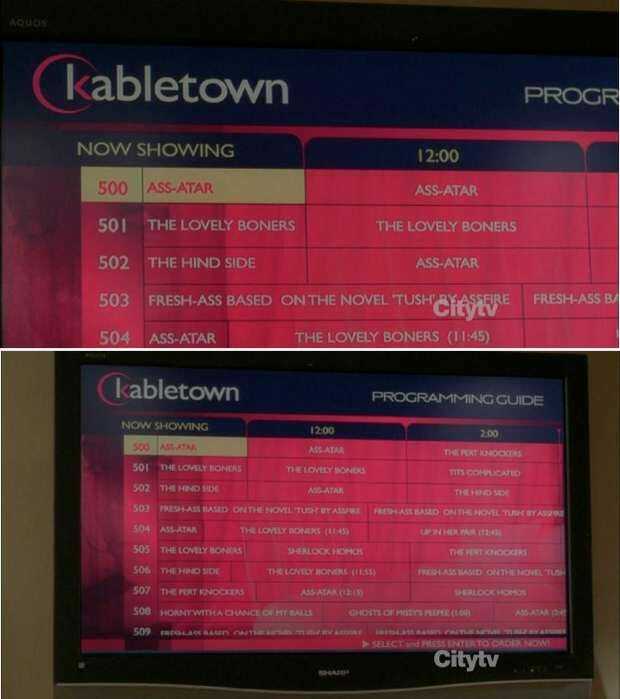 Even the logo for “Kabletown” looks decidingly like the Comcast logo. Well played. 30 Rock had fun with the Kabletown deal during last week’s episode, too.